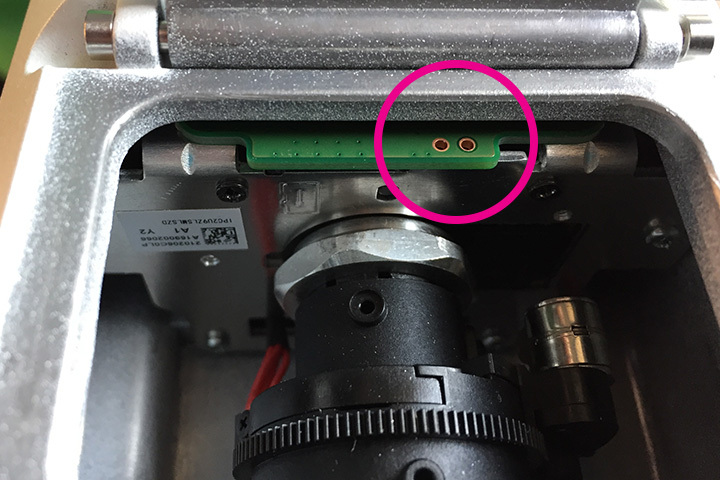 Your camera is equipped with jumper connectors to return the camera to factory default settings, if necessary. Power cycle the camera (restart the recorder or unplug the camera and plug it back in). 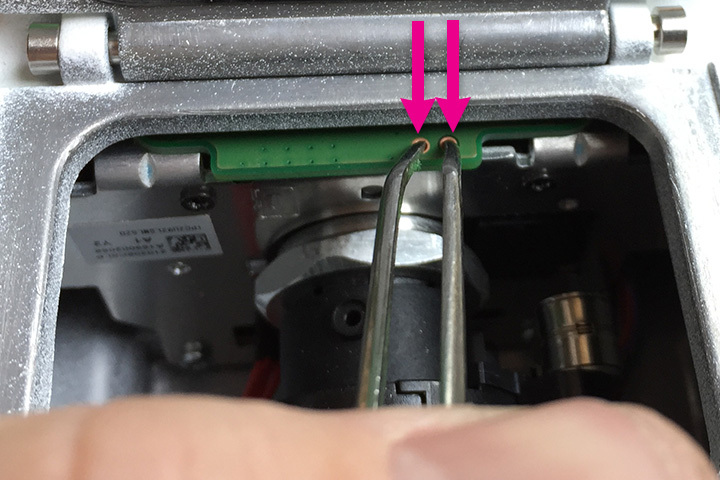 Open the access door on the bottom of the camera using a screwdriver. Close the circuit of the jumpers by bridging the connectors using a pair of tweezers or a bent paper clip for 15 to 30 seconds. This has to be performed within 10 min after the camera has been powered on or the reset will fail. The camera's IR lights will flash while resetting and stop flashing when the reset is complete.